The famous Kapilawasthu relics in a New Delhi’s Museum will travel to Sri Lanka once again for the exposition and veneration of millions of Sri Lanka Buddhists. 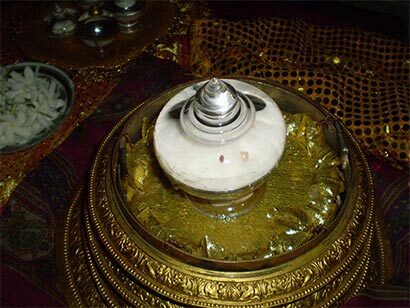 For the second time since discovery, the sacred Kapilavastu relics are to travel from India to Sri Lanka. The relics will travel to seven of the nine provinces in the island, and will be displayed in Kelaniya, Wariyapola, Anuradhapura, Kantale, Gampoha, Pelmadulla and Matara. They are now at the National Museum in New Delhi. The relics will be on display across Sri Lanka from August 20 to September 5. The relics will have the status of a head of state in Sri Lanka,according to an agreement signed between the two countries.. The agreement to make this happen was signed in Colombo on May 18 by H.P. Cashian Herath, Secretary, Ministry of Buddhasasana and Religious Affairs, Sri Lanka, and Pravin Srivastava, Director General, National Museum, India. It is being organised following a request made by Sri Lankan President Mahinda Rajapaksa to Prime Minister Manmohan Singh to provide an opportunity to the followers of Buddhism in Sri Lanka to pay homage to the Kapilavastu relics in the event of the Sambuddhatva Jayanthi. The relics were excavated by Alexander Cunningham, the first director of the Archaeological Survey of India, in the late 19th century from ruins in Piprahwa, in present day Bihar. Piprahwa was known as Kapilavastu in ancient India. Historical chronicles record that after the Buddha’s “Parinibbana” (passing away), the holy relics taken from the cremation site were divided into eight portions and handed over to separate groups for preservation. According to Mahaparinibbana Sutta , penned in the fifth century BC, one portion of the relics was handed to the Sakyas of Kapilavastu. These came to be known as the Kapilavastu relics. The then Minister of Cultural Affairs the late E.L.B.Hurulle organized first expositions of the relics in Sri Lanka in 1978. නමෝ තස්ස භගවතො අරහතො සම්මා සම්බුද්ධස්ස..!